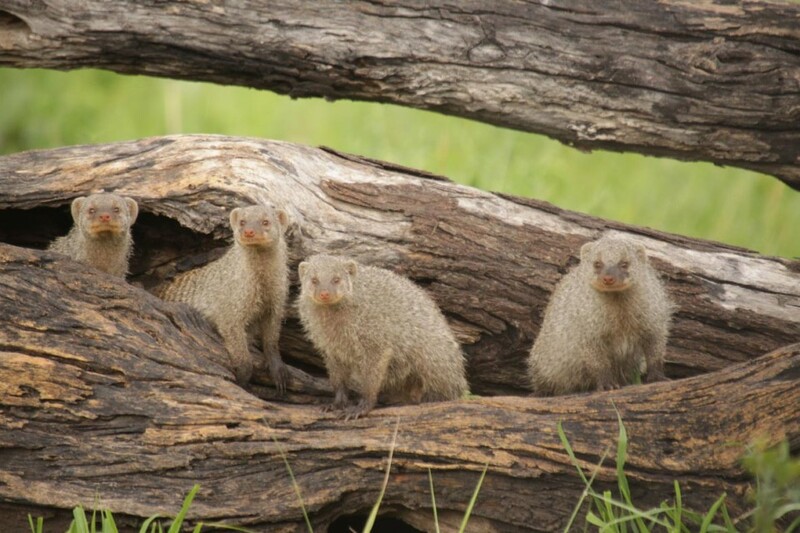 This 8-day camping safari starts in Maun and takes you to the Moremi Game Reserve where you will see a wide variety of wild animals and birds. 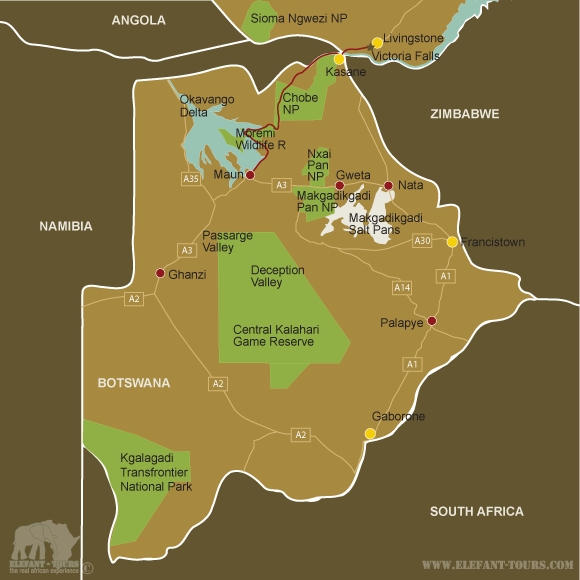 You will join early morning game drives and overnight at different campsites in the reserve. Your next stop is the Chobe National Park and Chobe River where you might see Africa’s ‘Big Five’. Thereafter you cross the Zambezi River by ferry and drive to Livingstone on the Zambian side to experience the breath-taking Victoria Falls. After meeting you guide and fellow travellers in Maun you will drive to Moremi Game Reserve, one of the best wilderness areas of Botswana. It was the first game reserve in Africa established by local residents. It covers a diversity of landscapes, from lily-covered ponds in the delta to mopani forests and grasslands. Wildlife is equally varied: from black and white rhino to more than 400 bird species. 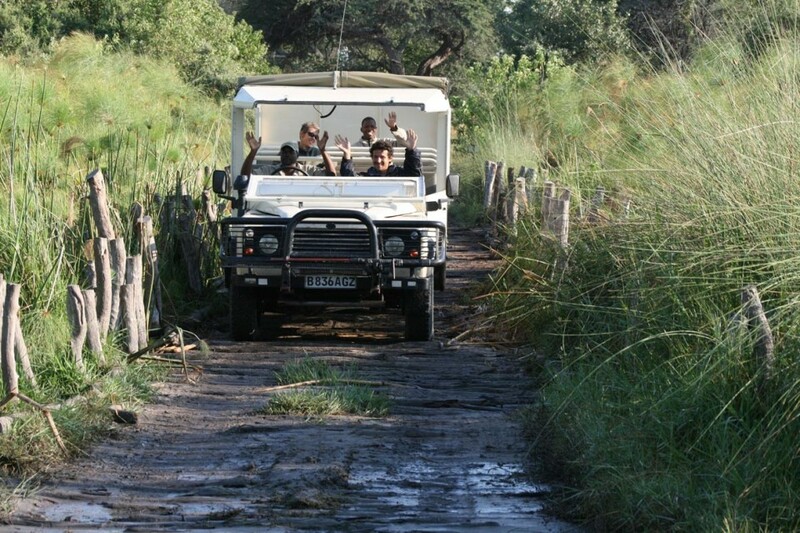 Game drives will be taken at sunrise and in the late afternoon. During the heat of the day you can rest and retreat to a cool spot. On Day 3 you will explore a different area of this diverse park. Camping will be in private designated campsites with bush ablutions. 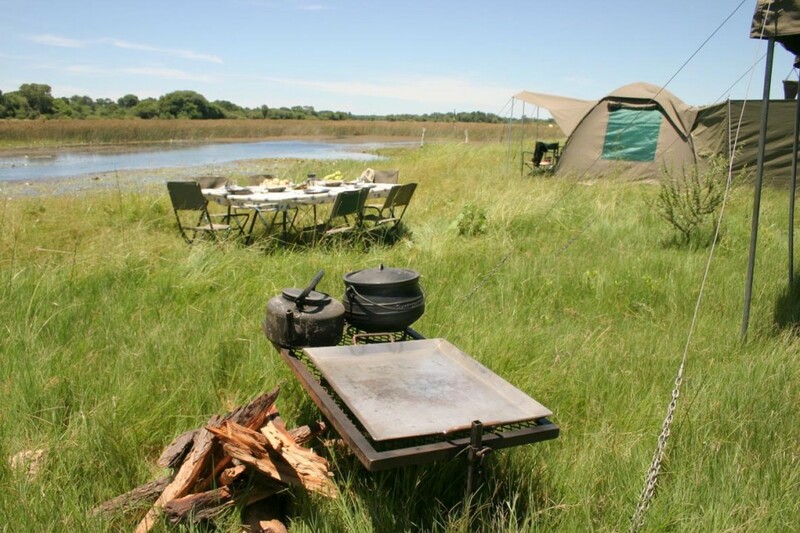 Tonight you camp in the Chobe National Park with its grasslands, shrub areas and mopani woodlands. Vegetation varies according to rainfall and animals moves to where the best food options are. You might see cheetah in the grassy plains and leopards in the riverine forests. 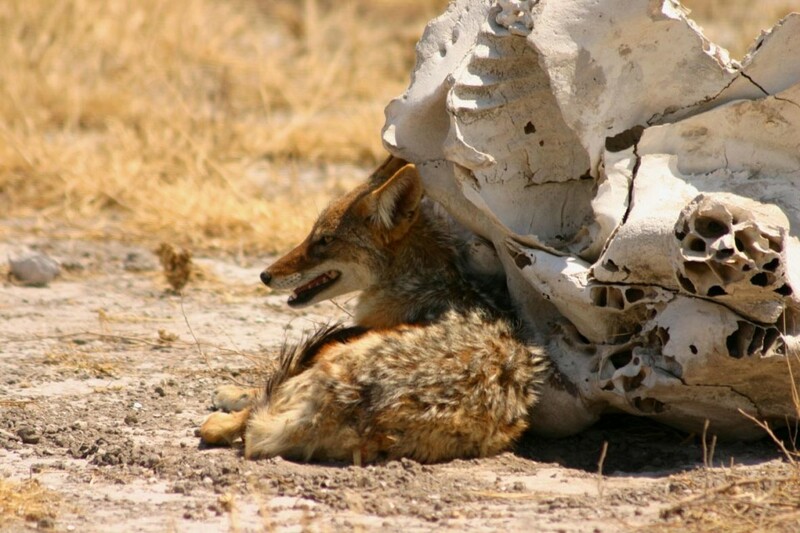 Packs of the rare wild dogs might be spotted, waiting, during the season when zebra and impala have their babies. You will visit the Savuti region where bull elephants can be seen in the dry months. 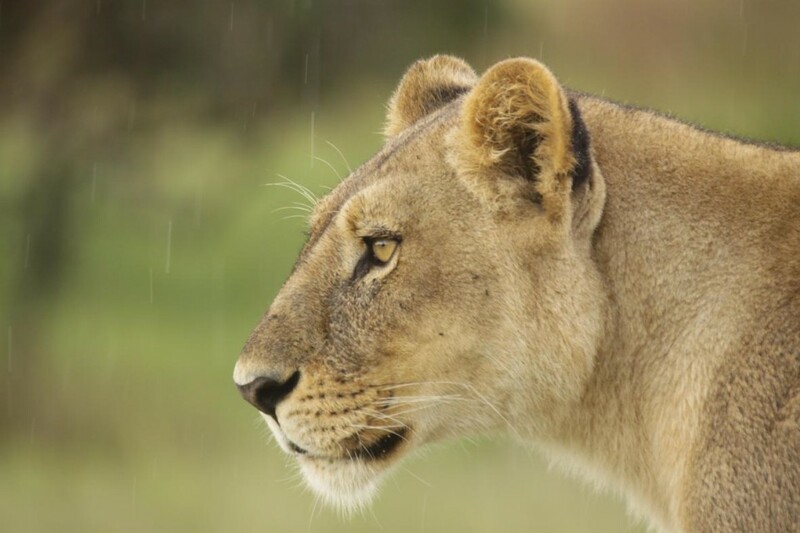 The rainy season brings thousands of zebras, antelope and predators. On the banks of the Chobe River you will see elephants busy with their bathing rituals accompanied by the call of the majestic African fish eagle. After a morning game drive you will cross the Zambezi River by ferry and then drive to Livingstone on the Zambian side of the Victoria Falls (visa required). The night will be spent at a comfortable lodge. Walk along the footpath to experience the thunderous Victoria Falls and shop for curios. More active guests may opt for adventure activities such as white water rafting down the Zambezi River, canoeing on the upper Zambezi, elephant rides and helicopter flights over the Victoria Falls. Dinner will be at your own expense at the lodge. The safari officially ends at 10:00 on day 8 but you can extend your stay or join another tour to explore more of Africa. - 6 nights are spent in spacious 2-man dome tents (2,1 x 2,1m) in basic bush camps with very basic ablutions (bush toilet + Bucket shower).